Introduction to the newest artificial lures. Current techniques explained by the professional Aficionados of angling with artificial lures can breathe a sigh of relief! 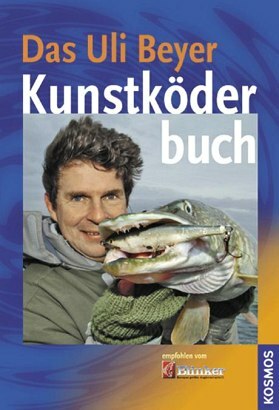 Product information "Das Uli Beyer Kunstköder Buch"
Predatory fish expert Uli Beyer divulges his entire experience on the subject of artificial lures. Whether blinker, wobblers or rubber fish, from material characteristics to lure guidance - the professional shows how it works! After his highly successful book on predatory fish, follows now his next competent guidebook. Uli Beyer ist Deutschlands bekanntester Hechtangler. Er gibt sein Wissen seit Jahren in verschiedensten Fachzeitschriften weiter und entwickelt für einige Firmen das beste Angelgerät.